BOUGHT HERE NEW, SERVICED HERE, NAVIGATION SYSTEM, MOON ROOF, BACK UP CAMERA. C 300 Sport, Iridium Silver Metallic exterior and Ash interior. Navigation, Heated Seats, Moonroof, Bluetooth, 4MATIC all-wheel drive, Dual Zone A/C, iPod/MP3 Input, BURL WALNUT WOOD TRIM, SIRIUSXM SATELLITE RADIO, REARVIEW CAMERA, COMAND SINGLE DISC PKG, HEATED FRONT SEATS, 18 AMG 7-SPOKE ALLOY WHEEL. CLICK ME! KEY FEATURES INCLUDE Sunroof, 4MATIC all-wheel drive, iPod/MP3 Input, Bluetooth, Dual Zone A/C Mercedes-Benz C 300 Sport with Iridium Silver Metallic exterior and Ash interior features a V6 Cylinder Engine with 228 HP at 6000 RPM*. OPTION PACKAGES 18 AMG 7-SPOKE ALLOY WHEEL, COMAND SINGLE DISC PKG: COMAND HD-based navigation system w/3D map views, 7 color display, Gracenote media database, CD/DVD player, SD card slot, 10GB hard drive w/Music Register, voice control, HEATED FRONT SEATS, SIRIUSXM SATELLITE RADIO, REARVIEW CAMERA, BURL WALNUT WOOD TRIM. Keyless Entry, Steering Wheel Controls, Child Safety Locks, Electronic Stability Control, Heated Mirrors. VEHICLE REVIEWS CarAndDriver.com explains Available in Luxury or Sport trim PURCHASE WITH CONFIDENCE Balance of New Car Warranty plus 1 year/unlimited miles extended Limited Warranty, 24-Hour Roadside Assistance, Carfax Vehicle History Report, NO Deductible, Rigorous Inspection by Factory Certified Technicians, Exchange Privilege for 7 days or 500 miles, whichever comes first, Trip-Planning Services, Trip-Interruption Services MORE ABOUT US Shop with confidence at Lyle Pearson's! Every pre-owned vehicle undergoes a comprehensive inspection in our service department before being offered for sale. A free Carfax report is offered on line and in the showroom, and our lowest price is clearly marked on every vehicle on the lot. Come see us on line or in person today! Horsepower calculations based on trim engine configuration. Please confirm the accuracy of the included equipment by calling us prior to purchase. 2015 S60 T5 Platinum 4 door in Silver with Off Black interior. A super clean car, well optioned including. Volvo Certified. navigation system, premium sound with media interface and Bluetooth, back up camera. heated seats, and more. PRICE DROP FROM $20,995. Nav System, Moonroof, Heated Leather Seats, Premium Sound System, Satellite Radio, iPod/MP3 Input, Back-Up Camera, BRIGHT SILVER METALLIC, OFF-BLACK, SPORT LEATHER SEATING SURF... HEATED FRONT SEATS, Turbo Charged Engine Given a complete inspection in our Volvo shop, serviced, and detailed. Offered for sale with the added value and confidence of Volvo's Best-in-Class CPO extended warranty coverage. Call, or stop by for a demonstration today! OPTION PACKAGES BRIGHT SILVER METALLIC, HEATED FRONT SEATS, OFF-BLACK, SPORT LEATHER SEATING SURFACES. MP3 Player, Keyless Entry, Child Safety Locks, Steering Wheel Controls, Heated Mirrors. AFFORDABLE TO OWN Was $20,995. BUY WITH CONFIDENCE 5-Year, unlimited mile warranty, upgradeable up to 8 years, 170-Point Comprehensive Inspection and Reconditioning, 24/7/365 Road Side Assistance for the length of your warranty, Vehicle History Report with Buyback Guarantee, No deductible for Certified by Volvo warranty visits. Fully Transferable, Volvo Genuine Service, Strict eligibility rules, Stringent inspection and reconditioning standards, IIHS Recommended Used Vehicles for Teen — Best Choices BUY FROM AN AWARD WINNING DEALER Shop with confidence at Lyle Pearson's! Every pre-owned vehicle undergoes a comprehensive inspection in our service department before being offered for sale. A free Carfax report is offered on line and in the showroom, and our lowest price is clearly marked on every vehicle on the lot. Come see us on line or in person today! Pricing analysis performed on 4/9/2019. Horsepower calculations based on trim engine configuration. Fuel economy calculations based on original manufacturer data for trim engine configuration. Please confirm the accuracy of the included equipment by calling us prior to purchase. FUEL EFFICIENT 27 MPG Hwy/19 MPG City! Tech Pkg trim. Acura Certified, LOW MILES - 28,910! Sunroof, Heated Leather Seats, Satellite Radio, iPod/MP3 Input, Bluetooth, All Wheel Drive, Alloy Wheels, Premium Sound System, Back-Up Camera, Ample power, strong fuel economy and outstanding rear legroom make the 2014 Acura RDX a solid choice for a premium small crossover. -Edmunds.com. CLICK ME! KEY FEATURES INCLUDE Leather Seats, Sunroof, All Wheel Drive, Heated Driver Seat, Back-Up Camera, Premium Sound System, Satellite Radio, iPod/MP3 Input, Bluetooth, Aluminum Wheels, Keyless Start, Dual Zone A/C, Heated Seats, Heated Leather Seats. Rear Spoiler, MP3 Player, Keyless Entry, Privacy Glass, Steering Wheel Controls. EXPERTS RAVE Edmunds.com's review says Ample power, strong fuel economy and outstanding rear legroom make the 2014 Acura RDX a solid choice for a premium small crossover.. SHOP WITH CONFIDENCE Balance of original 7-year/100,000-Mile Powertrain Warranty, Additional 1-year/12,000-mile Non-Powertrain Warranty, 182 point inspection, 24-Hour Roadside Assistance, Trip-Interruption Services, Emergency Fuel Delivery, Emergency lock out service, 24-hour Acura dealer locator MORE ABOUT US Shop with confidence at Lyle Pearson's! Every pre-owned vehicle undergoes a comprehensive inspection in our service department before being offered for sale. A free Carfax report is offered on line and in the showroom, and our lowest price is clearly marked on every vehicle on the lot. Come see us on line or in person today! Pricing analysis performed on 4/17/2019. Fuel economy calculations based on original manufacturer data for trim engine configuration. Please confirm the accuracy of the included equipment by calling us prior to purchase. 2016 C300 4Matic sedan in white with black interior. 1-owner clean Carfax lease return with 36,000 miles. Well equipped including factory navigation system, blind spot monitor and back up camera, satellite radio, media interface and Bluetooth, KEYLESS-GO hands free locking and push button start and more. EPA 31 MPG Hwy/24 MPG City!, $2,700 below Kelley Blue Book! EPA 31 MPG Hwy/24 MPG City!, PRICED TO MOVE $2,800 below Kelley Blue Book!, FUEL EFFICIENT 31 MPG Hwy/24 MPG City! CD Player Given a complete inspection in our shop, serviced, and detailed. Offered for sale with the added value and confidence of the included factory extended warranty exclusive to Certified Pre-Owned Mercedes-Benz vehicles. Call, or come by for a demonstration today! OPTION PACKAGES KEYLESS-GO, BLIND SPOT ASSIST, SIRIUSXM SATELLITE RADIO, OPEN-PORE BLACK ASH TRIM analog clock in dash, WHEELS: 17 SPLIT 5-SPOKE (STD). MP3 Player, Child Safety Locks, Steering Wheel Controls, Electronic Stability Control, Heated Mirrors. EXCELLENT VALUE CARFAX 1-Owner Balance of New Car Warranty plus 1 year/unlimited miles extended Limited Warranty, 24-Hour Roadside Assistance, Carfax Vehicle History Report, NO Deductible, Rigorous Inspection by Factory Certified Technicians, Exchange Privilege for 7 days or 500 miles, whichever comes first, Trip-Planning Services, Trip-Interruption Services Was $28,995. This C 300 is priced $2,800 below Kelley Blue Book. OUR OFFERINGS Shop with confidence at Lyle Pearson's! Every pre-owned vehicle undergoes a comprehensive inspection in our service department before being offered for sale. A free Carfax report is offered on line and in the showroom, and our lowest price is clearly marked on every vehicle on the lot. Come see us on line or in person today! Pricing analysis performed on 4/10/2019. Horsepower calculations based on trim engine configuration. Fuel economy calculations based on original manufacturer data for trim engine configuration. Please confirm the accuracy of the included equipment by calling us prior to purchase. Dealer Certified, EXTRA WARRANTY, LOCAL TRADE IN, LOW MILES - 20,845! REDUCED FROM $28,995!, $1,500 below Kelley Blue Book!, FUEL EFFICIENT 32 MPG Hwy/24 MPG City! DVD Entertainment System, Heated Seats, Navigation, Turbo Charged, Alloy Wheels, Flex Fuel, Onboard Communications System, iPod/MP3 Input, Full-Time 4MATIC All-Wheel Drive, Power Liftgate, MULTI-MEDIA WITH SMARTPHONE, BI-XENON HEADLAMPS, REARVIEW CAMERA, BLIND SPOT ASSIST, KEYLESS-GO, PREMIUM PACKAGE SEE MORE! KEY FEATURES INCLUDE Full-Time 4MATIC All-Wheel Drive, Power Liftgate, Turbocharged, Flex Fuel, iPod/MP3 Input, Onboard Communications System, Aluminum Wheels, Dual Zone A/C, Smart Device Integration. OPTION PACKAGES MULTI-MEDIA WITH SMARTPHONE: COMAND System w/Hard Drive Navigation, DVD Player, Single CD/DVD Player, Rearview Camera, Navigation Map Updates Included For 3 Years, PREMIUM PACKAGE: KEYLESS-GO, Garage Door Opener, Heated Front Seats, SIRIUSXM Satellite Radio, Auto-Dimming Mirrors, Radio: harman/kardon Logic 7 Audio System, Dolby 5.1, RADIO: harman/kardon LOGIC 7 AUDIO SYSTEM Dolby 5.1, BI-XENON HEADLAMPS LED taillights, HEATED FRONT SEATS, KEYLESS-GO, BLIND SPOT ASSIST, REARVIEW CAMERA. Rear Spoiler, MP3 Player, Remote Trunk Release, Steering Wheel Controls, Child Safety Locks. A GREAT TIME TO BUY Reduced from $28,995. OUR OFFERINGS Shop with confidence at Lyle Pearson's! Every pre-owned vehicle undergoes a comprehensive inspection in our service department before being offered for sale. A free Carfax report is offered on line and in the showroom, and our lowest price is clearly marked on every vehicle on the lot. Come see us on line or in person today! Pricing analysis performed on 4/2/2019. Horsepower calculations based on trim engine configuration. Fuel economy calculations based on original manufacturer data for trim engine configuration. Please confirm the accuracy of the included equipment by calling us prior to purchase. NICELY EQUIPPED, ALL WHEEL DRIVE, PANOMARA MOOF ROOF, FUEL EFFICIENT 31 MPG Hwy/23 MPG City PRICED TO MOVE $1,100 below Kelley Blue Book! MERCEDES BENZ CERTIFIED, CARFAX 1-Owner, Excellent Condition, LOW MILES - 8,791! Heated Seats, Sunroof, Turbo, Flex Fuel, Alloy Wheels, Full-Time 4MATIC All-Wheel Drive, Onboard Communications System, iPod/MP3 Input, Power Liftgate, PANORAMA SUNROOF, RADIO: harman/kardon LOGIC 7 AUDIO SY... REARVIEW CAMERA, BLIND SPOT ASSIST SEE MORE! KEY FEATURES INCLUDE Full-Time 4MATIC All-Wheel Drive, Power Liftgate, Turbocharged, Flex Fuel, iPod/MP3 Input, Onboard Communications System, Aluminum Wheels, Remote Engine Start, Dual Zone A/C, Smart Device Integration OPTION PACKAGES PREMIUM PACKAGE: KEYLESS-GO, Blind Spot Assist, Heated Front Seats, Rearview Camera, SIRIUSXM Satellite Radio, Radio: harman/kardon Logic 7 Audio System, 500 watt amplifier and Digital Dynamic Volume Control, DRIVER ASSISTANCE PACKAGE: DISTRONIC PLUS, Lane Keeping Assist, PANORAMA SUNROOF, RADIO: harman/kardon LOGIC 7 AUDIO SYSTEM 500 watt amplifier and Digital Dynamic Volume Control, HEATED FRONT SEATS, BLIND SPOT ASSIST, KEYLESS-GO, REARVIEW CAMERA, SATIN BROWN POPLAR WOOD TRIM. Rear Spoiler, MP3 Player, Remote Trunk Release, Steering Wheel Controls, Child Safety Locks. AFFORDABLE TO OWN Balance of New Car Warranty plus 1 year/unlimited miles extended Limited Warranty Reduced from $30,995. 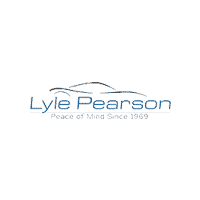 MORE ABOUT US Shop with confidence at Lyle Pearson's! Every pre-owned vehicle undergoes a comprehensive inspection in our service department before being offered for sale. A free Carfax report is offered on line and in the showroom, and our lowest price is clearly marked on every vehicle on the lot. Come see us on line or in person today! Pricing analysis performed on 4/17/2019. Fuel economy calculations based on original manufacturer data for trim engine configuration. Please confirm the accuracy of the included equipment by calling us prior to purchase. CARFAX 1-Owner, Dealer Certified, Superb Condition. EPA 26 MPG Hwy/20 MPG City! Sunroof, Heated Leather Seats, Navigation, Turbo Charged, Power Liftgate, Back-Up Camera, Panoramic Roof, 4x4, CLIMATE COMFORT PACKAGE, WHEELS: 18 5 SPLIT SPOKE GLOSS BLACK..., DRIVER ASSIST PLUS PACKAGE, WHEELS: 18 5 SPLIT SPOKE GLOSS BLACK (STYLE 511), EBONY/EBONY, GRAINED LEATHER SEAT TRI..., SANTORINI BLACK METALLIC, Serviced here, Non-Smoker vehicle, Originally bought here SEE MORE! KEY FEATURES INCLUDE Sunroof, Panoramic Roof, 4x4, Power Liftgate, Back-Up Camera, Turbocharged, iPod/MP3 Input, Onboard Communications System, Keyless Start, Dual Zone A/C, Smart Device Integration OPTION PACKAGES CLIMATE COMFORT PACKAGE: heated windscreen, Heated Leather Steering Wheel, Climate Front & Heated Rear Seats, DRIVER ASSIST PLUS PACKAGE: autonomous emergency braking, Traffic Sign Recognition, SD Card Navigation, Lane Departure Warning, SANTORINI BLACK METALLIC, EBONY/EBONY, GRAINED LEATHER SEAT TRIM, WHEELS: 18 5 SPLIT SPOKE GLOSS BLACK (STYLE 511). Rear Spoiler, MP3 Player, Privacy Glass, Remote Trunk Release, Keyless Entry. Serviced here, Non-Smoker vehicle, Originally bought here. Edmunds.com's review says Like its close relative PURCHASE WITH CONFIDENCE CARFAX 1-Owner 5-year/100,000 Mile Limited Warranty, Complete 165-point inspection, 24/7 Roadside Assistance OUR OFFERINGS Shop with confidence at Lyle Pearson's! Every pre-owned vehicle undergoes a comprehensive inspection in our service department before being offered for sale. A free Carfax report is offered on line and in the showroom, and our lowest price is clearly marked on every vehicle on the lot. Come see us on line or in person today! Pricing analysis performed on 4/3/2019. Horsepower calculations based on trim engine configuration. Fuel economy calculations based on original manufacturer data for trim engine configuration. Please confirm the accuracy of the included equipment by calling us prior to purchase. CLA 250 trim, Executive loaner, Mercedes Benz Certified. WAS $38,195, FUEL EFFICIENT 32 MPG Hwy/24 MPG City! CARFAX 1-Owner, Mercedes-Benz Certified, GREAT MILES 3,937! Heated Seats, CD Player, iPod/MP3 Input, Flex Fuel, Dual Zone A/C, Remote Engine Start, Onboard Communications System, HEATED FRONT SEATS, WHEELS: 17 5-SPOKE ALLOY, BLIND SPOT ASSIST, SMARTPHONE INTEGRATION, Full-Time 4MATIC All-Wheel Drive, Back-Up Camera, Aluminum Wheels, Turbo Charged Engine AND MORE! KEY FEATURES INCLUDE Full-Time 4MATIC All-Wheel Drive, Back-Up Camera, Turbocharged, Flex Fuel, iPod/MP3 Input, CD Player, Onboard Communications System, Remote Engine Start, Dual Zone A/C. OPTION PACKAGES HEATED FRONT SEATS, BLIND SPOT ASSIST, SMARTPHONE INTEGRATION Android Auto, Apple CarPlay, Smartphone Integration (14U), WHEELS: 17 5-SPOKE ALLOY (STD). MP3 Player, Keyless Entry, Steering Wheel Controls, Child Safety Locks, Heated Mirrors. AFFORDABLE TO OWN Was $38,195. SHOP WITH CONFIDENCE Balance of New Car Warranty plus 1 year/unlimited miles extended Limited Warranty, 24-Hour Roadside Assistance, Carfax Vehicle History Report, NO Deductible, Rigorous Inspection by Factory Certified Technicians, Exchange Privilege for 7 days or 500 miles, whichever comes first, Trip-Planning Services, Trip-Interruption Services MORE ABOUT US Shop with confidence at Lyle Pearson's! Every pre-owned vehicle undergoes a comprehensive inspection in our service department before being offered for sale. A free Carfax report is offered on line and in the showroom, and our lowest price is clearly marked on every vehicle on the lot. Come see us on line or in person today! Pricing analysis performed on 3/12/2019. Horsepower calculations based on trim engine configuration. Fuel economy calculations based on original manufacturer data for trim engine configuration. Please confirm the accuracy of the included equipment by calling us prior to purchase. EXECUTIVE DEMO, FULLY MERCEDES CERTIFED, REMAINDER OF FACTORY WARRANTY. CARFAX 1-Owner, Mercedes-Benz Certified, ONLY 2,360 Miles! PRICE DROP FROM $42,875, EPA 31 MPG Hwy/23 MPG City! Moonroof, Power Liftgate, Back-Up Camera, Flex Fuel, Onboard Communications System, CD Player, iPod/MP3 Input, Full-Time 4MATIC All-Wheel Drive, SMARTPHONE INTEGRATION, FULL LED HEADLAMPS, PANORAMA SUNROOF, BLACK ASH MATTE WOOD TRIM, Turbo Charged Engine, Aluminum Wheels CLICK ME! KEY FEATURES INCLUDE Full-Time 4MATIC All-Wheel Drive, Power Liftgate, Back-Up Camera, Turbocharged, Flex Fuel, iPod/MP3 Input, CD Player, Onboard Communications System, Aluminum Wheels, Remote Engine Start, Dual Zone A/C. OPTION PACKAGES PREMIUM PACKAGE KEYLESS-GO, Heated Front Seats, Blind Spot Assist, SIRIUSXM Satellite Radio, HANDS-FREE ACCESS, PANORAMA SUNROOF, FULL LED HEADLAMPS, SMARTPHONE INTEGRATION Android Auto, Apple CarPlay, Smartphone Integration (14U), BLACK ASH MATTE WOOD TRIM. Rear Spoiler, MP3 Player, Privacy Glass, Child Safety Locks, Steering Wheel Controls. A GREAT VALUE Was $42,875. SHOP WITH CONFIDENCE Balance of New Car Warranty plus 1 year/unlimited miles extended Limited Warranty, 24-Hour Roadside Assistance , Carfax Vehicle History Report , NO Deductible, Rigorous Inspection by Factory Certified Technicians , Exchange Privilege for 7 days or 500 miles OUR OFFERINGS Shop with confidence at Lyle Pearson's! Every pre-owned vehicle undergoes a comprehensive inspection in our service department before being offered for sale. A free Carfax report is offered on line and in the showroom, and our lowest price is clearly marked on every vehicle on the lot. Come see us on line or in person today! Pricing analysis performed on 3/1/2019. Horsepower calculations based on trim engine configuration. Fuel economy calculations based on original manufacturer data for trim engine configuration. Please confirm the accuracy of the included equipment by calling us prior to purchase. 2018 GLA250 4Matic 5-passenger 4WD sport utility in Mountain Grey with black interior. Dealer demonstrator with just 2,900 miles! Equipped with must-have options including heated seats, Smart Phone integration. Mercedes-Benz Certified. package with Apple Carplay and Android Auto, Blind Spot Monitor and rear view camera, power remote tailgate. and more. PRICE DROP FROM $39,295. Heated Seats, iPod/MP3 Input, Flex Fuel, Back-Up Camera, Remote Engine Start, Onboard Communications System Given a complete inspection in our shop, serviced, and detailed. Offered for sale with the added value and confidence of the included factory extended warranty exclusive to Certified Pre-Owned Mercedes-Benz vehicles. Call, or come by for a demonstration today! OPTION PACKAGES MOUNTAIN GREY METALLIC, HEATED FRONT SEATS, BLIND SPOT ASSIST, WHEELS: 19 5-TWIN-SPOKE, MATTE BLACK Tires: 235/45R19 All-Season, SMARTPHONE INTEGRATION: Android Auto, Apple CarPlay, Smartphone Integration (14U). Rear Spoiler, MP3 Player, Keyless Entry, Privacy Glass, Remote Trunk Release. AFFORDABLE CARFAX 1-Owner Balance of New Car Warranty plus 1 year/unlimited miles extended Limited Warranty, 24-Hour Roadside Assistance, Carfax Vehicle History Report, NO Deductible, Rigorous Inspection by Factory Certified Technicians, Exchange Privilege for 7 days or 500 miles, whichever comes first, Trip-Planning Services, Trip-Interruption Services Was $39,295. OUR OFFERINGS Shop with confidence at Lyle Pearson's! Every pre-owned vehicle undergoes a comprehensive inspection in our service department before being offered for sale. A free Carfax report is offered on line and in the showroom, and our lowest price is clearly marked on every vehicle on the lot. Come see us on line or in person today! Pricing analysis performed on 3/1/2019. Horsepower calculations based on trim engine configuration. Fuel economy calculations based on original manufacturer data for trim engine configuration. Please confirm the accuracy of the included equipment by calling us prior to purchase. Mountain Grey Metallic exterior, EXECUTIVE DEMO, REMAINDER OF FACTORY WARRANTY. Mercedes-Benz Certified, CARFAX 1-Owner, ONLY 5,399 Miles! PRICE DROP FROM $43,115, FUEL EFFICIENT 31 MPG Hwy/23 MPG City! Heated Seats, iPod/MP3 Input, Flex Fuel, Back-Up Camera, Remote Engine Start, Onboard Communications System, CD Player, Power Liftgate, FULL LED HEADLAMPS, SMARTPHONE INTEGRATION, BLIND SPOT ASSIST, CONVENIENCE PACKAGE, Turbo, Full-Time 4MATIC All-Wheel Drive AND MORE! KEY FEATURES INCLUDE Full-Time 4MATIC All-Wheel Drive, Power Liftgate, Back-Up Camera, Turbocharged, Flex Fuel, iPod/MP3 Input, CD Player, Onboard Communications System, Aluminum Wheels, Remote Engine Start, Dual Zone A/C OPTION PACKAGES FULL LED HEADLAMPS, HEATED FRONT SEATS, BLIND SPOT ASSIST, CONVENIENCE PACKAGE Garage Door Opener, Auto-Dimming Rearview & Driver-Side Mirrors, SMARTPHONE INTEGRATION Android Auto, Apple CarPlay, Smartphone Integration (14U). Rear Spoiler, MP3 Player, Remote Trunk Release, Privacy Glass, Keyless Entry. A GREAT TIME TO BUY Was $43,115. PURCHASE WITH CONFIDENCE Balance of New Car Warranty plus 1 year/unlimited miles extended Limited Warranty, 24-Hour Roadside Assistance, Carfax Vehicle History Report, NO Deductible, Rigorous Inspection by Factory Certified Technicians, Exchange Privilege for 7 days or 500 miles, whichever comes first, Trip-Planning Services, Trip-Interruption Services MORE ABOUT US Shop with confidence at Lyle Pearson's! Every pre-owned vehicle undergoes a comprehensive inspection in our service department before being offered for sale. A free Carfax report is offered on line and in the showroom, and our lowest price is clearly marked on every vehicle on the lot. Come see us on line or in person today! Fuel economy calculations based on original manufacturer data for trim engine configuration. Please confirm the accuracy of the included equipment by calling us prior to purchase. Crystal Black Pearl exterior and Ebony interior, w/Advance Pkg trim. Acura Certified, CARFAX 1-Owner, GREAT MILES 23,027! WAS $37,700, EPA 27 MPG Hwy/19 MPG City! Heated/Cooled Leather Seats, Nav System, Moonroof, Back-Up Camera, Premium Sound System, Power Liftgate, Aluminum Wheels, All Wheel Drive. READ MORE! KEY FEATURES INCLUDE Leather Seats, Navigation, Sunroof, All Wheel Drive, Power Liftgate, Heated Driver Seat, Cooled Driver Seat, Back-Up Camera, Premium Sound System, Satellite Radio, iPod/MP3 Input, Bluetooth, Aluminum Wheels, Remote Engine Start, Dual Zone A/C. Acura w/Advance Pkg with Crystal Black Pearl exterior and Ebony interior features a V6 Cylinder Engine with 279 HP at 6200 RPM*. Rear Spoiler, MP3 Player, Remote Trunk Release, Keyless Entry, Privacy Glass. Its steering feels light but precise, and overall handling is composed and secure when driving through turns. On the open highway, the RDX boasts low levels of road and wind noise, with an impressively comfortable ride. -Edmunds.com. PRICED TO MOVE Was $37,700. SHOP WITH CONFIDENCE Balance of original 7-year/100,000-Mile Powertrain Warranty, Additional 1-year/12,000-mile Non-Powertrain Warranty, 182 point inspection, 24-Hour Roadside Assistance, Trip-Interruption Services, Emergency Fuel Delivery, Emergency lock out service, 24-hour Acura dealer locator MORE ABOUT US Shop with confidence at Lyle Pearson's! Every pre-owned vehicle undergoes a comprehensive inspection in our service department before being offered for sale. A free Carfax report is offered on line and in the showroom, and our lowest price is clearly marked on every vehicle on the lot. Come see us on line or in person today! Pricing analysis performed on 4/17/2019. Horsepower calculations based on trim engine configuration. Fuel economy calculations based on original manufacturer data for trim engine configuration. Please confirm the accuracy of the included equipment by calling us prior to purchase. CARFAX 1-Owner, Acura Certified, ONLY 24,333 Miles! w/Advance trim, Crystal Black Pearl exterior and Ebony interior. PRICE DROP FROM $36,900, EPA 26 MPG Hwy/19 MPG City! Nav System, Moonroof, Third Row Seat, Heated/Cooled Seats, Rear Air, Heated Rear Seat, Aluminum Wheels, All Wheel Drive, Power Liftgate, Edmunds.com's review says Interior storage is excellent, with big cupholders and door bins, plus a deep center bin that can hold a small purse or tablet.. CLICK ME! KEY FEATURES INCLUDE Third Row Seat, Navigation, Sunroof, All Wheel Drive, Power Liftgate, Rear Air, Heated Driver Seat, Heated Rear Seat, Cooled Driver Seat, Back-Up Camera, Premium Sound System, Satellite Radio, iPod/MP3 Input, Bluetooth, Aluminum Wheels. Acura w/Advance with Crystal Black Pearl exterior and Ebony interior features a V6 Cylinder Engine with 290 HP at 6200 RPM*. Rear Spoiler, MP3 Player, Remote Trunk Release, Keyless Entry, Privacy Glass. AFFORDABLE Was $36,900. SHOP WITH CONFIDENCE CARFAX 1-Owner Balance of original 7-year/100,000-Mile Powertrain Warranty, Additional 1-year/12,000-mile Non-Powertrain Warranty, 182 point inspection, 24-Hour Roadside Assistance, Trip-Interruption Services, Emergency Fuel Delivery, Emergency lock out service, 24-hour Acura dealer locator MORE ABOUT US Shop with confidence at Lyle Pearson's! Every pre-owned vehicle undergoes a comprehensive inspection in our service department before being offered for sale. A free Carfax report is offered on line and in the showroom, and our lowest price is clearly marked on every vehicle on the lot. Come see us on line or in person today! Pricing analysis performed on 4/17/2019. Horsepower calculations based on trim engine configuration. Fuel economy calculations based on original manufacturer data for trim engine configuration. Please confirm the accuracy of the included equipment by calling us prior to purchase.